The ministry you lead is growing. Kids are being reached with the Gospel message. Families are inviting their friends. People in the church are excited about what is happening and want to be part of the team. Things seem to be going just how you envisioned – and then it happens: you cross the line from busy to totally overwhelmed. You are leading and teaching and planning and serving as the point person for all of the special events. You are out more nights of the week than you are in and your chair at the family dinner table has junk piled up in it because it hasn’t been used in more days than you can count. You need help. You weren’t created to do this alone. So you start inviting people to join you on this journey. 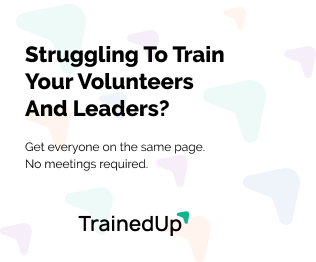 Now you have someone leading the mid-week program, someone else who wants to help plan special events, and another who is going to take over that open small group position you had been indefinitely covering. As important as it is that you invited those gifted individuals on the team, it’s just as important that you set them up for success. Don’t let your busy-ness or your relief allow you to disconnect from that person or aspect of ministry and just hope for the best. Have new leaders seen it done before? It’s great that the new couple at your church wants to head up Vacation Bible School this year. It’s even better that they passed their background checks and did everything that your church required of them in order to take on this position. But if they’ve never seen VBS before, they are going to need a lot of guidance from you. Yes, it still takes your time. But remember – the goal is not to get things off of your to-do list. It’s to help people recognize and live into the gifts that God has given them in order to reach our broken world. Do new leaders know the expectations? Ok. So, they’ve led Vacation Bible School every summer for 15 years – great. But if they’ve never led at your church before, there are some things that they will need to know – not just that you combine rec and snack into one station or that you swap the music rotation for missions. Make sure they know what is important to your church. Make sure they know what the goals are for the children and families that will walk through your door that summer. Did you communicate after it happened? VBS was a great success. Sure, there were some things that weren’t so great but overall it went well. Make sure that you check back in with your leaders. What did they like? What would they do differently? Is this what they expected? Did they think this was a good fit for their gifts? 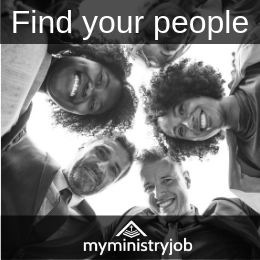 You want to create long-term leaders (even if they never do that particular thing again) that see themselves as making a lasting impact on the lives of children and families – not just nice people who are helping out the overwhelmed Children’s Ministry leader. You’re awesome. God has created you to be right where you are. He has created others to be right there with you. So let them – but set them up for success. Help them live into the gifts that God has given them and make a lasting impact on children and families together. How have you helped leaders be successful in your ministry? Layci has worked in Children’s Ministry for 10 years. She has an undergrad in Business and a Masters in Children’s and Family Ministry from Bethel Seminary. She currently serves as the Director of Grade School Ministries in a church right outside of Washington, DC. She and her husband have been married for 9 years and they have a 2-year-old daughter and a son on the way. Layci loves photography and baseball. If she could have any super power it would be super speed so that she could avoid the crazy city traffic and enjoy more time at home.